Saturday 30th November 2013 – 7.30pm – Chris Kowalik. West Midlands Ambulance Service was called to the B4455 Fosse Way at Three Gates near Moreton Morrell at 1.35pm today. A West Midlands Ambulance Service spokesman said: “A BMW and a Fiesta had collided. “There were two 19 year old men in the Fiesta. The passenger was trapped and had to be cut free. He had back pain and was immobilised with the use of a spinal board and neck collar. The driver was up and about, out of the vehicle. Both were taken in the same ambulance to University Hospital Coventry and Warwickshire. Saturday 30th November 2013 – 7.50pm – Chris Kowalik. Four people have been injured in a collision involving two cars in Telford. West Midlands Ambulance Service was called to Roden Lane shortly before 4.20pm today. Four ambulances, a paramedic area support officer in a rapid response vehicle and the MERIT trauma team of a trauma doctor and a critical care practitioner in a rapid response vehicle attended. A West Midlands Ambulance Service spokesman said: “A woman in her eighties who was a passenger in one of the cars involved had chest and back pain and an abdominal injury and lacerations. Her wounds were dressed, a pelvic splint was applied, she was immobilised and given oxygen and pain relief. Accompanied in the ambulance by the trauma doctor, she was taken to the University Hospital of North Staffordshire. The hospital had been put on alert. “Her driver, a man in his forties, was taken to the same hospital. He had chest and abdominal pain and a suspected pelvic injury. He was immobilised by the ambulance crew before going to hospital. Friday 29th November 2013 – 2.55pm – Murray MacGregor. 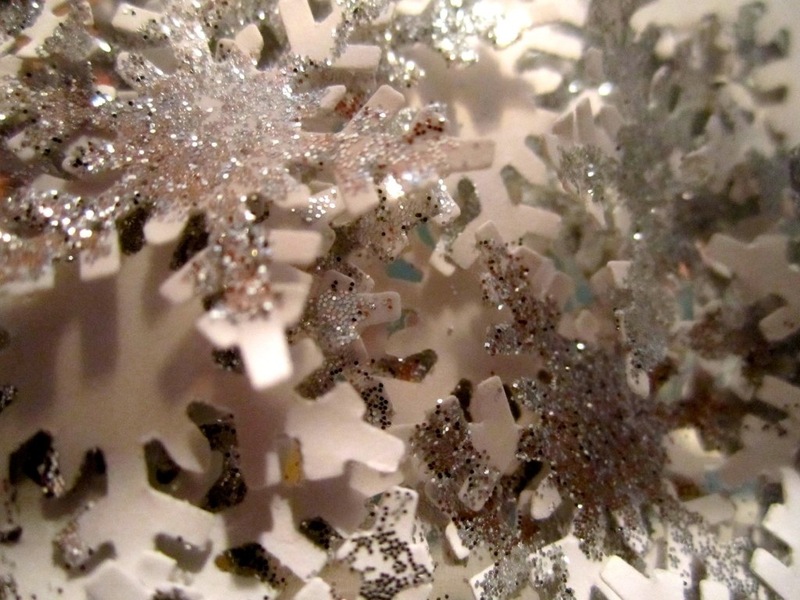 For many, the 1st of December is the start of the countdown to Christmas. For children it usually means getting to open the first window of your advent calendar. This year West Midlands Ambulance Service will be opening its own advent calendar and sharing it with you. Whilst we can’t promise any yummy chocolates inside, we will be introducing you to 25 members of staff and their individual jobs and roles. When you think of us, you probably visualise a traditional ambulance. Today, it is so much more complex than that and we aim to introduce many of the characters who work in those other roles. There is everything from a driving instructor to someone who works in the highly computerised control room; a mechanic, an apprentice, a member of the courier service we operate, right through to the staff who keep our vehicles on the road and clean; those who plan the number of staff we need to keep the region safe and even one of our highly trained trauma doctors. As well introducing some of our staff to you and letting you know what they’ll be doing on the big day, we will also be proving helpful hints on how to keep yourself safe. Each winter, the number of emergency 999 calls rises significantly when the weather gets colder and especially if the snow arrives. Through our advent calendar we will be providing tips on how to make the best use of the ambulance service and the rest of the NHS by making sure you ‘choose well’. West Midlands Ambulance Service’s commercial training department has a number of ‘Emergency First Aid at Work’ courses available over the forthcoming months. These courses will be taking place in Telford. Please see the information leaflet attached or contact our training department via 01782 338672. 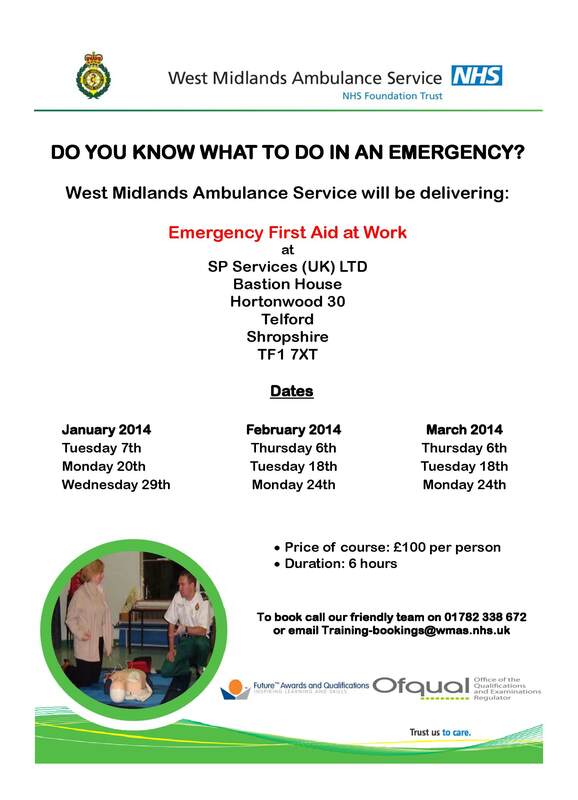 Alternatively please email the team via Training-bookings@wmas.nhs.uk for more information. Friday 29th November 2013 – 11am – Chris Kowalik. 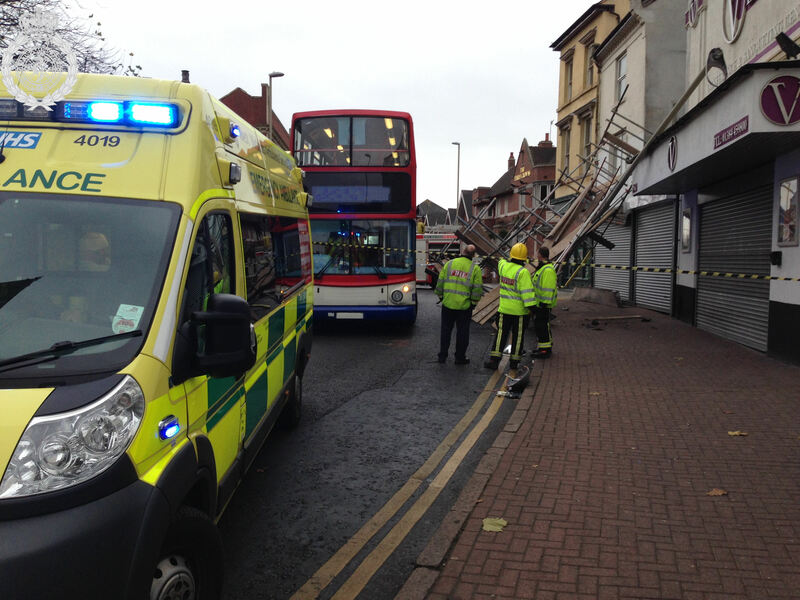 A pedestrian had just minor injuries following the collapse of scaffolding in Dudley this morning. The incident happened in High Street. West Midlands Ambulance Service was called shortly before 9.45am today. Friday 29th November 2013 – 10.25am – Chris Kowalik. An advanced paramedic will be at the Christmas lights switch-on in Whitchurch tomorrow to hear feedback and answer any questions on the ambulance service. Rich Bebbington, a resident of nearby Tilstock, is one of Whitchurch’s five Community Paramedics based in the town. They normally respond from the new Community Ambulance Station in Chester Road but tomorrow, when he isn’t dealing with a 999 call, Rich will be on standby in the town’s High Street between 10am and 6pm. Thursday 28th November 2013 – 10.10pm – Suzie Fothergill. A cyclist has sustained serious injuries following a road traffic collision in the Black Country today. 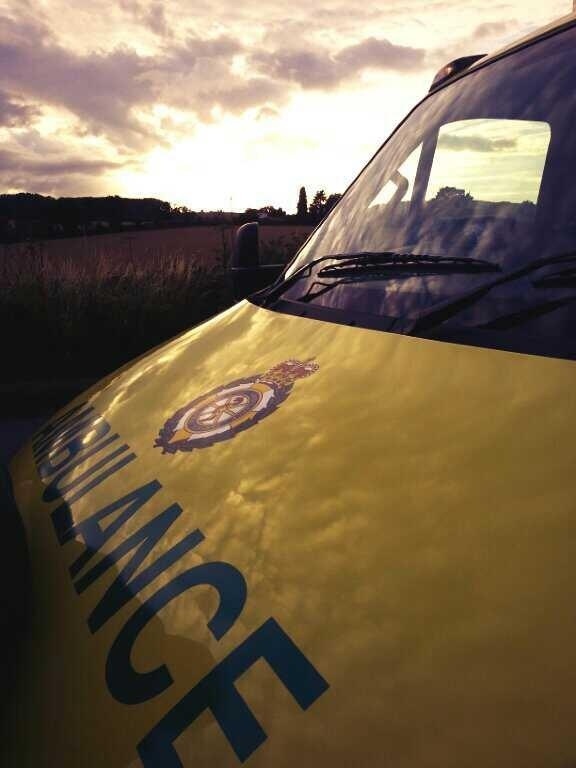 An ambulance was dispatched to the incident at Longacre in Willenhall shortly before 6.40pm this evening. A West Midlands Ambulance Service spokeswoman said: “On arrival at the scene crews found a cyclist that had been in collision with a lorry. The cyclist, a man, had sustained serious injuries to his neck, chest and leg. The man was immobilised and conveyed to New Cross Hospital where he was stabilised. 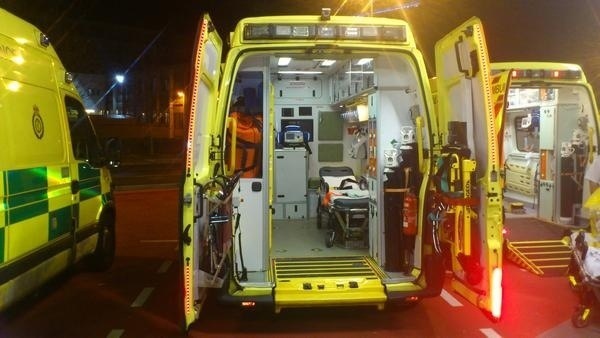 “A second ambulance and the Trust’s MERIT rapid response vehicle, carrying a critical care paramedic and trauma doctor, were dispatched to the hospital in order to transfer the patient on to the major trauma centre at Queen Elizabeth Hospital Birmingham. Thursday 28th November 2013 – 11.00am – Claire Brown. 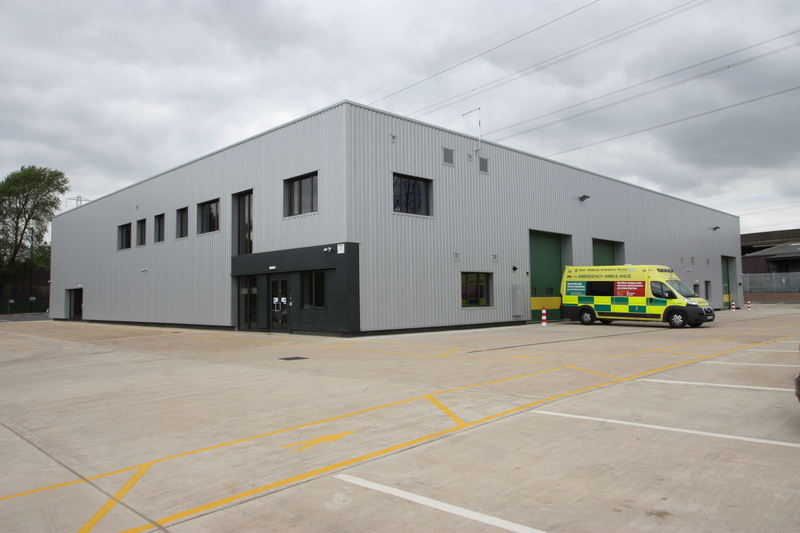 A new ‘Make Ready’ ambulance preparation and maintenance hub has opened in Birmingham. The site, off the Chester Road in Erdington, is home to a new dedicated team of ambulance fleet assistants who clean, stock and prepare ambulances in readiness for when clinical staff start shift. It became operational in September. 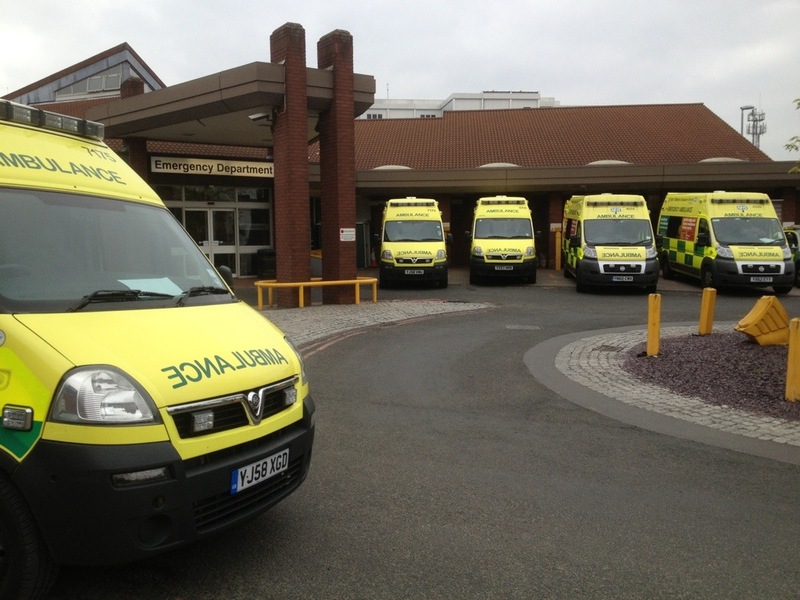 Make Ready is a project to overhaul and modernise the ambulance service in the West Midlands. Based on 16 successful years in Staffordshire, the project involves the creation of new hubs and the sale of traditional ambulance stations which are being replaced by smaller, lower maintenance and lower cost community ambulance stations. Ambulances are prepared at the hubs and then disperse to community ambulance stations from where they will respond to 999 calls. Erdington Hub is the final of five hubs to open in Birmingham and the Black Country and completes the ‘Make Ready’ project in the two areas. Dudley Hub on Burton Road, Willenhall Hub on Ashmore Lake Way, West Bromwich Hub in Hargate Lane and Hollymoor Hub in Northfield are already operational. Traditional ambulance stations in Solihull, Sutton Coldfield, Chelmsley Wood and Small Heath are up for sale or have been sold and replaced by community ambulance stations in Solihull, Sutton Coldfield, Shirley, Sheldon, Ward End, Acocks Green, Perry Barr, Erdington and Hay Mills. The Trust is still looking for suitable locations in the Chelmsley Wood area and, in the meantime, until a new site is found the current Chelmsley Wood Ambulance Station continues to be used. The Trust is also looking for a site for a community ambulance station in the Knowle/Dorridge area. The number of new community ambulance stations is far greater than that of the old traditional ambulance stations and are situated closer to where we know patients need them which will help to further improve response times to 999 calls. Nathan Hudson, Birmingham General Manager, said: “Despite a few teething problems typical of a new build, the move went well which is credit to the work of our management team, the excellent planning on their part and all of our staff who have taken the move in their stride. “We’ve been in the new hub in Erdington for a couple of months now, and I’m pleased to say that it’s operating smoothly and efficiently in delivering ‘Make Ready’ and means our ambulance crews are more available than ever before to respond to 999 calls. “Our staff are settled into the new facilities which are a marked improvement on our old traditional ambulance stations which had seen better days and were no longer fit for a 21st Century ambulance service. The hub is fresh, clean and modern with comfortable facilities for staff and plenty of room for vehicles and equipment. Photo outside the Hub (left to right): Phil Calow (Assistant Area Manager Birmingham), Dean Jenkins (Area Manager Birmingham) and James Williams (Area Support Officer). Photo overlooking the ‘Make Ready’ area at the Hub (left to right): James Williams (Area Support Officer), Esme Beadsworth (Emergency Medical Technician), Mick Booth (Ambulance Fleet Assistant), Kirsty Morris and Anna Prescott (Paramedics). 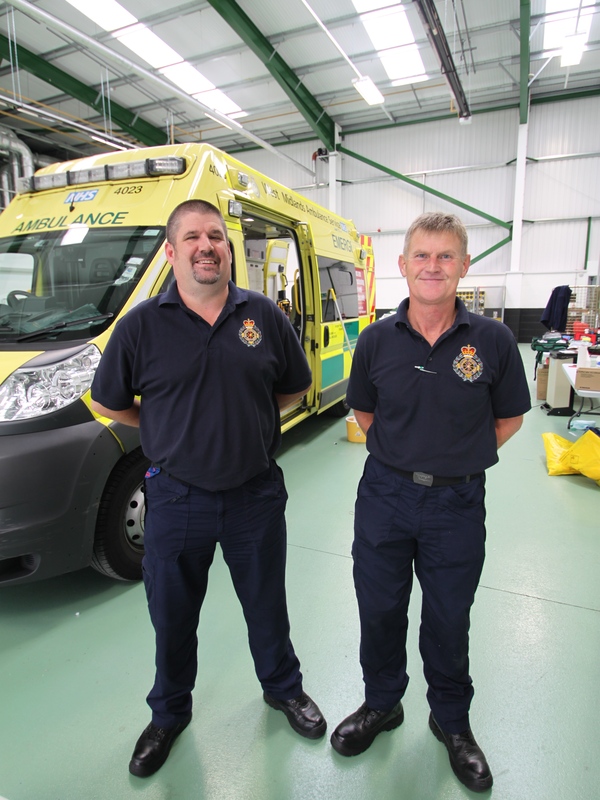 Photo next to an ambulance in the ‘Made Ready’ area (left to right): Thomas Thompson (Ambulance Fleet Assistant Supervisor) and Mick Booth (Ambulance Fleet Assistant). Wednesday 27th November 2013 – 9.45pm – Suzie Fothergill. Five people have been injured in a two car RTC in Herefordshire this evening. West Midlands Ambulance Service was called to the incident on the A438 in Whitney on Wye shortly before 5.55pm today. Three ambulances, a rapid response vehicle, a paramedic area support officer and two MARS BASICS Doctors were dispatched to the scene. The police and the fire service were also in attendance. A West Midlands Ambulance Service spokeswoman said: “Crews were called to reports of two cars that had been in collision. “The first car had sustained significant damage. The driver, a woman, was trapped in the vehicle and had sustained a chest injury. The woman was treated at the scene for her injuries and was fully immobilised. Once freed from the vehicle the casualty was conveyed to hospital. “The second car had been carrying four occupants at the time of the incident. The driver, a woman, was out of the vehicle on the crew’s arrival. She was treated at the scene for suspected pelvic injuries and was fully immobilised. “A rear seat passenger, a teenage girl, had sustained leg and head injuries and had to be extricated from the vehicle. The girl was also fully immobilised at the scene. “The front seat passenger, a baby girl, and the second rear seat passenger, a boy, were treated for minor injuries. Wednesday 27th November 2013 – 6.00pm – Suzie Fothergill. Ambulance crews were called to reports of a significant road traffic collision on the A38 in Aston, Birmingham at approximately 2.40pm this afternoon. West Midlands Ambulance Service dispatched two ambulances, a paramedic area support officer and the Trust’s MERIT rapid response vehicle, carrying a critical care paramedic and trauma doctor to the scene. The Midlands Air Ambulance from Cosford and a doctor and an ambulance officer, who had travelled from a local hospital, were also in attendance. A West Midlands Ambulance Service spokeswoman said: “On arrival at the scene crews found two vans that had been in collision. 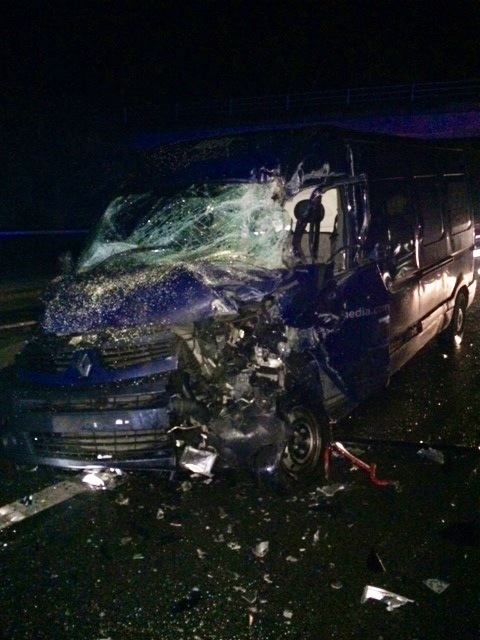 “The driver of the first van, a man, was treated for potential abdominal injuries. The man was fully immobilised and conveyed to City Hospital, via land ambulance, for further assessment and treatment. “The second van had been carrying two occupants at the time of the incident and had sustained significant damage. The driver, a man, was assessed and discharged by ambulance crews at the scene. “The passenger of the van, also a man, was found to be trapped in the vehicle. Ambulance crews treated the man whilst working alongside other emergency service personnel for approximately two hours to extricate the casualty from the vehicle. The man was given pain relief and treated for head and leg injuries at the scene. He was fully immobilised and conveyed, via land ambulance, to Queen Elizabeth Hospital Birmingham for further assessment and treatment. Wednesday 27th November 2013 – 1.30pm – Suzie Fothergill. Ambulance crews have rescued a man from scaffolding following an incident in Salford Prior this morning. 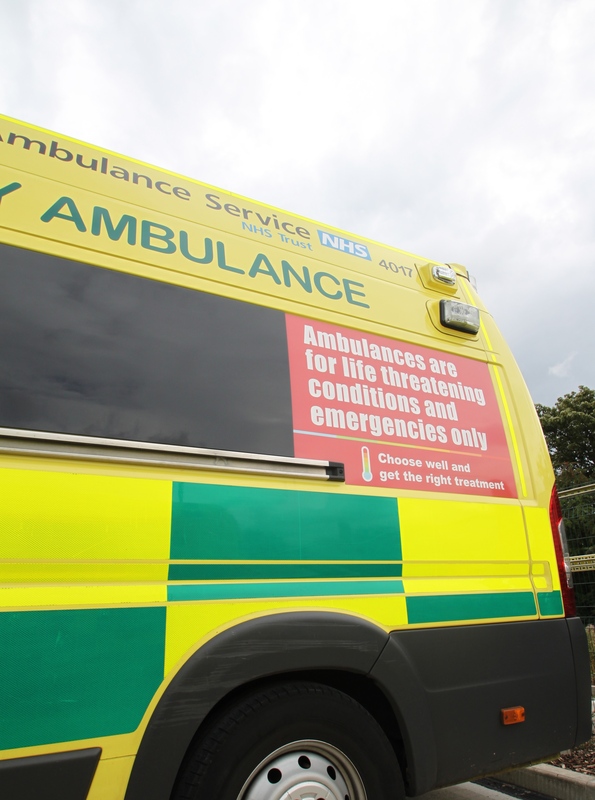 West Midlands Ambulance Service received calls to Tothull Lane to reports of a man who had fallen whilst working on scaffolding at approximately 9.45am today. An ambulance, a rapid response vehicle, a paramedic area support officer and the Trust’s Hazardous Area Response Team were dispatched to the scene. A West Midlands Ambulance Service spokeswoman said: “On arrival at the scene crew’s found a man on a scaffolding rig three storeys high. “The man had reportedly fallen on the scaffolding and had hit his neck during the fall. On assessing the man he was found he be light headed and disorientated. Due to the nature of his injury the Hazardous Area Response Team removed a window from property, next to the scaffolding, enabling the man to be brought down to safety through the house. Wednesday 27th November 2013 – 11.45am – Chris Kowalik. As the Christmas lights are switched on in one north Shropshire town this Saturday, volunteer lifesavers will be enlightening visitors about their work. North Shropshire Community First Responders (a registered charity – no. 1136523) will be in Whitchurch hoping to recruit new volunteers. The scheme consists of everyday members of the public trained by West Midlands Ambulance Service to a nationally recognised standard in a variety of lifesaving techniques including the use of a defibrillator. They could be sent by the ambulance service’s control room to medical emergencies in their area while an ambulance is on its way. North Shropshire Community First Responders covers all areas of the north of the county including Whitchurch, Market Drayton, Wem, Newport, Hinstock and Shawbury. Wednesday 27th November 2013 – 8.20am – Suzie Fothergill. A man has died following a road traffic collision in Birmingham yesterday. West Midlands Ambulance Service was called to the incident on Rea Street in Birmingham shortly before 10.25pm yesterday evening. An ambulance, a rapid response vehicle, a paramedic area support officer and the Trust’s MERIT rapid response vehicle, carrying a critical care paramedic and a trauma doctor, were dispatched to the scene. A West Midlands Ambulance Service spokeswoman said: “Crews were called to reports of a single car that had been in collision with a factory wall. “On arrival at the scene crews treated a man for serious multiple injuries before conveying him to Queen Elizabeth Hospital Birmingham. The trauma doctor travelled on board the ambulance, continuing to provide emergency medical treatment whilst on route to hospital, where medics were on standby awaiting their arrival. Tuesday 26th November 2013 – 7.20pm – Suzie Fothergill. Four people were treated by ambulance crews today following a road traffic collision in Shropshire. West Midlands Ambulance Service was called to a two car collision on Lamledge Lane in Shifnal at approximately 4.10pm this afternoon. Four ambulances and a paramedic area support officer in a rapid response vehicle were sent to the scene. A West Midlands Ambulance Service spokeswoman said: “Crews arrived to find two vehicles that had been in collision. “One woman, believed to be in her 60’s, was found in the first car. The woman who was suffering with chest pain was immobilised and extricated from the vehicle, with the assistance of the fire service, before being conveyed to Royal Shrewsbury Hospital. “Three occupants from the second vehicle were all out of the car on the crew’s arrival. The first occupant, a woman in her 60’s, was treated for abdominal and hip pain. The second occupant, a woman in her 50’s, was treated for a head injury. Both women were conveyed to Royal Shrewsbury Hospital for further assessment and treatment. 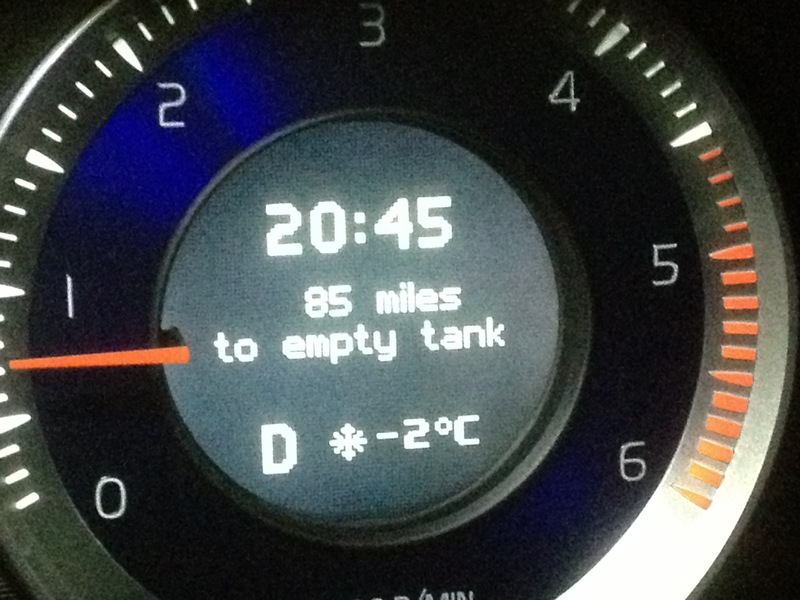 Looks like it’s going to be another cold one tonight. 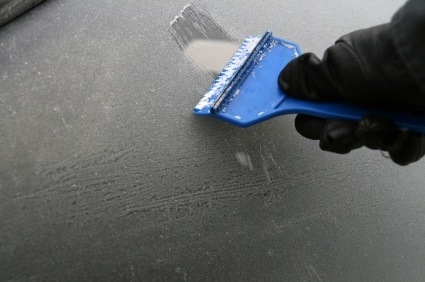 Watch out for icy patches and please clear your windscreen. Monday 25th November 2013 – 9.10pm – Murray MacGregor. Three men have been hurt after a crash involving a horse box in Warwickshire. Thankfully, there was no animal in the trailer at the time of the incident which took place at Barford Road in Sherbourne at around 4.00pm on Monday afternoon. A West Midlands Ambulance Service spokesman said: “When ambulance staff arrived they found a 4×4 on the correct side of the road, but the horse box it had been towing on the opposite side of the road where it had been in collision with a small Suzuki car. “There had been three men in car at the time of the crash. The 23 year driver was complaining of back pain. He was taken to Warwick Hospital for further assessment and treatment. “The other two, who were 20 and 34 were assessed at the scene but were discharged with advice. “The man driving the 4×4 was uninjured. Monday 25th November 2013 – 8.51pm – Murray MacGregor. 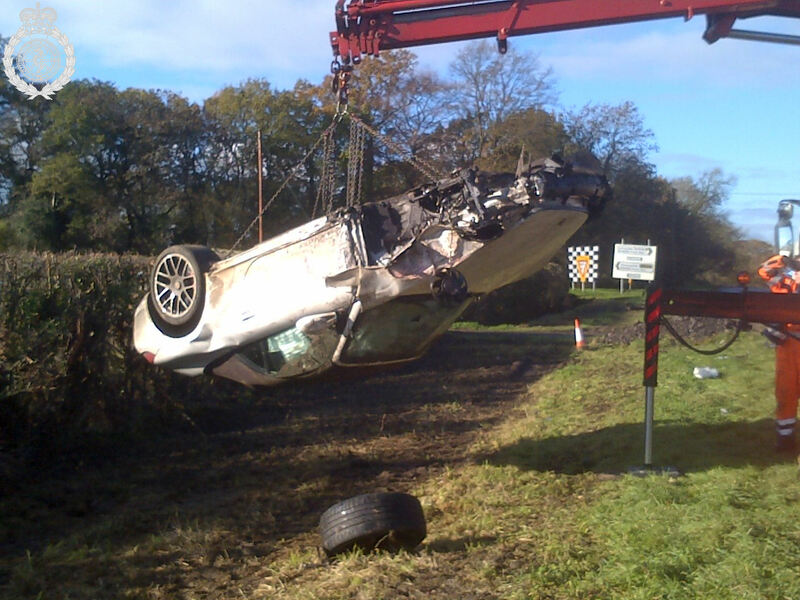 A man was trapped in the wreckage of the car he was driving for over 30 minutes after a crash in Herefordshire. The collision between two cars happened on the B3452 at Eaton Bishop on Clehonger to Madley road at 6.10pm on Monday evening. Two ambulances, a rapid response vehicle, a paramedic officer and a BASICS Emergency Doctor were sent to the scene. A West Midlands Ambulance Service spokesman said: “On arrival crews found two cars that both had front end damage. One car was particularly badly damaged with the engine block having moved. “The driver, a man in his 20s was tapped. Initially firefighters removed the doors so that ambulance staff could assess the man. The roof was then removed to allow ambulance staff to get the man out safely. “He was suffering from a suspected fractured pelvis. He was immobilised using a neck collar and spinal board and pelvic splint before being assessed and treated on the ambulance. “Due to the type of injury, the man was taken to the Major trauma Centre at Queen Elizabeth Hospital in Birmingham with the doctor travelling with the crew. “En route, the ambulance rendezvoused with the MERIT Specialist Trauma Doctor who took over the transfer of the patient up to Birmingham with the ambulance crew. Sunday 24th November 2013 – 6.15pm – Claire Brown. A boy has been rushed to hospital after being in collision with a car in Birmingham this afternoon. The incident happened on Bosworth Drive, near to Asda in Chelmsley Wood at around 3.50pm earlier today (Sunday). An ambulance, a responder paramedic, a paramedic area support officer and the Midlands Air Ambulance from Cosford with a MERIT trauma doctor on board attended the scene. A West Midlands Ambulance Service spokeswoman said: “Upon arrival crews found a young boy, believed to be under 10-years-old, who had been involved in a road traffic collision with a car. “Ambulance crews and the doctor quickly assessed the boy and found he had sustained a serious head injury together with suspected chest and leg injuries. Due to the boy’s deteriorating condition, the doctor decided to anaesthetise him at the scene with assistance from the ambulance crew and paramedics. “The boy was immobilised with a neck collar and spinal board before being conveyed by land ambulance on blue lights to Birmingham Children’s Hospital; the doctor travelled in the ambulance to continue vital emergency treatment en route. Saturday 23rd November 2013 – 6.30pm – Claire Brown. A man has escaped serious injury after his car rolled over and ended up in a field in Shropshire. 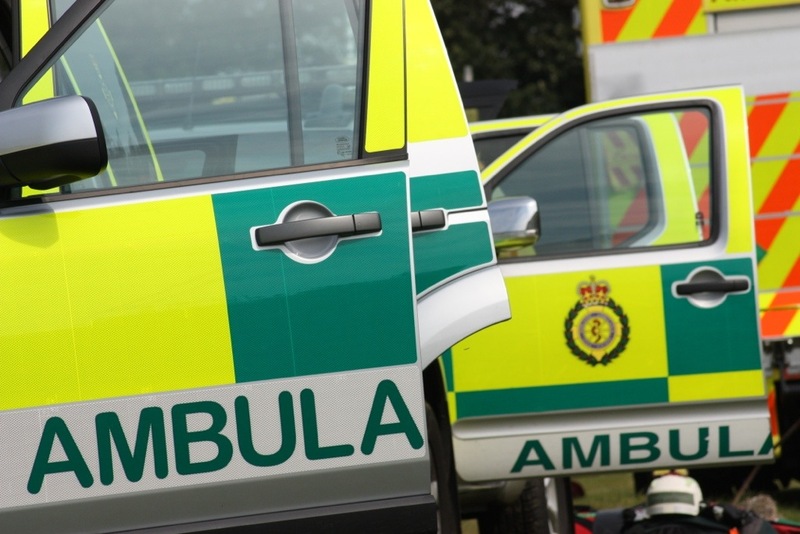 West Midlands Ambulance Service was called to reports of a car which had gone through a fence and into a field near to Lutwyche Hall in Wenlock Edge shortly before 4.00pm this afternoon (Saturday). An ambulance, a responder paramedic and an area support officer attended the scene. A West Midlands Ambulance Service spokeswoman said: “Crews found a car, in a field, which had sustained significant damage conducive of it rolling over several times. The driver, a man in his 40s, was trapped inside the vehicle due to the damage caused. “Upon assessment, ambulance crews found the man had suffered a head injury but no other obvious injuries. Crews worked with the fire service at the scene to carefully extricate him from vehicle and, due to the nature of the collision, they immobilised him with a neck collar and spinal board as a precaution. Saturday 23rd November 2013 – 6.15pm – Claire Brown. Four people have been injured in a road traffic collision in Shropshire this morning. West Midlands Ambulance Service was called to Park Street in Shifnal at around 9.45am earlier today (Saturday). Four ambulances and an area support officer attended the scene. A West Midlands Ambulance Service spokeswoman said: “Crews arrived to find a collision between two cars. One had reportedly been stationary at the time of the collision and had sustained significant rear end damage. “The occupants of the stationary car, all men believed to be in their 50s, sustained neck and back pain in the collision. They had all reportedly self-extricated from the vehicle prior to crews arriving. All three were checked over by ambulance crews and immobilised with neck collars and spinal boards before being taken to hospital; one to Royal Shrewsbury Hospital and two to Princess Royal Hospital. Saturday 23rd November 2013 – 6.30am – Claire Brown. Two men have been taken to hospital after the car they were travelling in left the road in Birmingham late last night. West Midlands Ambulance Service was called to the Coventry Road in Small Heath at around 11.30pm yesterday evening (Friday). Two ambulances and medics from the Central Accident Resuscitation Emergency (CARE) Team attended the scene. A West Midlands Ambulance Service spokeswoman said: “Crews arrived to find a car which had sustained significant damage in the collision. “The driver of the car, a man in his 20s, sustained back pain but had managed to self-extricate from the car prior to emergency services arrival. Upon assessment, crews and the medics immobilised the man with a neck collar and spinal board before he was taken to Heartlands Hospital for further assessment and treatment. “A front seat passenger, a man also in his 20s, was also out of the car prior to crews arriving but had sustained nasty facial injuries believed to be from a post which had gone through the windscreen in the collision. He too was immobilised with a neck collar and spinal board and his facial wounds were dressed. The man was taken to Queen Elizabeth Hospital Birmingham for specialist treatment. Friday 22nd November 2013 – 3.45pm – Chris Kowalik. Two men have been taken to hospital following a road traffic collision that resulted in one of the cars involved ending up on its roof. The collision, involving a Fiat and a Porsche, occurred at the junction of Fosse Way and Mere Lane, Cloudesley Bush. West Midlands Ambulance Service was called shortly after 10.20am. An ambulance crew from East Midlands Ambulance Service also attended. A West Midlands Ambulance Service spokesman said: “The driver of the Fiat, a man in his thirties, had back and pelvic injuries. He was given pain relief and was immobilised with the use of a spinal board and neck collar. He was taken to University Hospital Coventry and Warwickshire. Two passengers in this car were both assessed and discharged at the scene. Thursday 21st November 2013 – 1.30pm – Claire Brown. 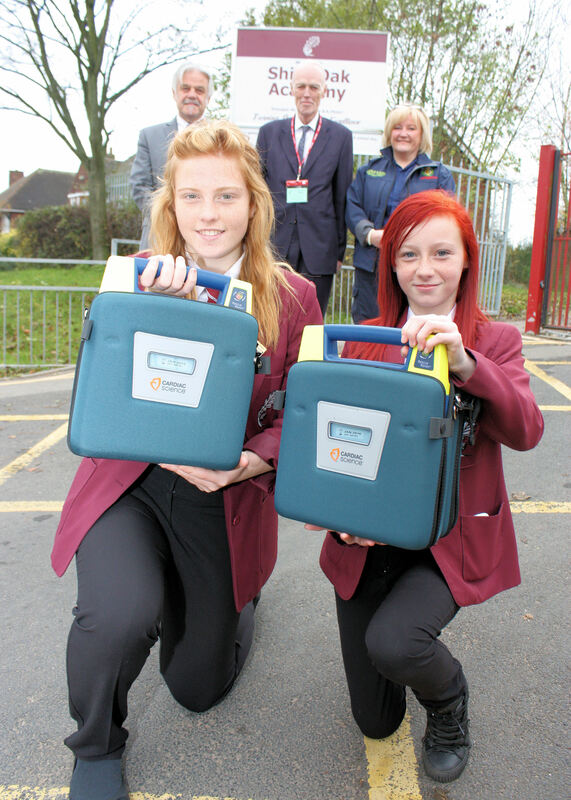 A school in Walsall is doing its bit to help save lives by housing not one, but three life-saving pieces of kit. In June, Shire Oak Academy’s student council needed to decide what to do with a pot of money left over from a student awards scheme. Rather than a new computer, sports gear or science equipment, the students unanimously voted to buy an automated external defibrillator; a device used to restart someone’s heart when they’re suffering a cardiac arrest. Carol Waite is Assistant to the Pastoral Leader of Year 11 at the Academy and is passionate about saving lives. In her spare time, she supports West Midlands Ambulance Service by responding to 999 calls as a FastAid Community First Responder (CFR) in Walsall. Carol, who has been a CFR for 4 ½ years, has been promoting the importance of first aid and CPR training at the academy and said: “When the students decided to purchase a defib, with their own money, it was heart-warming. We’re incredibly lucky to have students who are very keen on first aid and helping others and they’re very supportive of FastAid too. 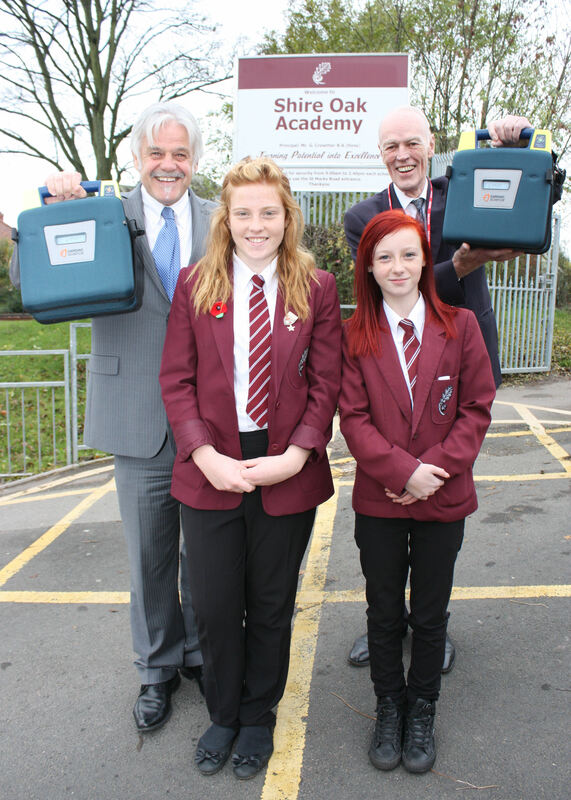 When our Principal, Mr Crowther, purchased a second defib for the school to match that of the students, we were all over the moon! In addition to the two defibrillators inside, West Midlands Ambulance Service located a third device outside. The Community Public Access Defibrillator, located in a yellow box on the gates of the school on Lichfield Road, is secure but publicly accessible in the event of an emergency. 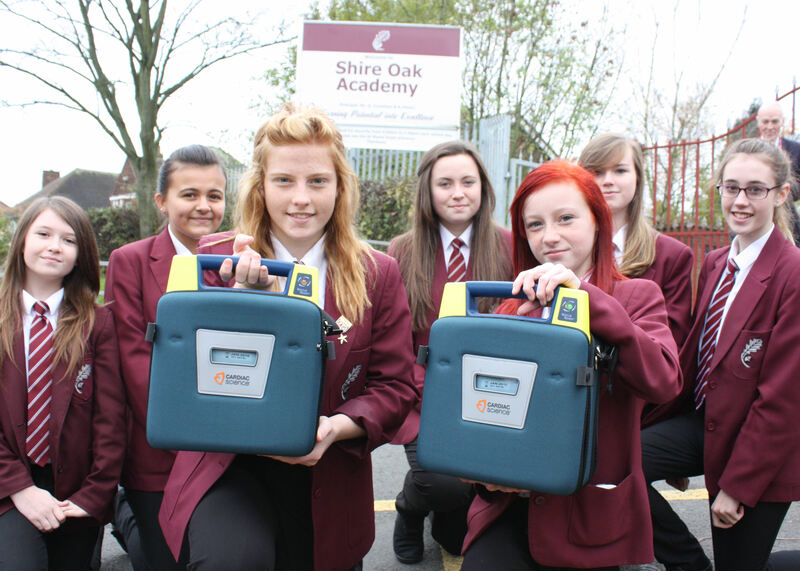 If someone suffers a cardiac arrest in the vicinity of the school, locals should call 999 and head to Shire Oak for a defibrillator. Pictured (Left to right back row): Mr Crowther, Sir Richard Shepherd and Carol Waite (front row) with Isabelle Webster and Chloe Lyndsey. Picture of students (left to right): Sophie Scott, Maia Kaur, Isabelle Webster, Rachael Waite, Chloe Lyndsey, Georgia Bailey, Georgia Dyoss. Thursday 21st November 2013 – 11.15am – Murray MacGregor. Winter has started to show its teeth this week and with it most of us have been turning up the heating at home. Unfortunately, the onset of the colder weather leads to an increase in cases of accidental carbon monoxide poisoning. Carbon monoxide (CO) is a colourless, odourless gas. Around 4,000 people attend A&E each year due to the effects, which results in 200 cases needing hospital treatment, and tragically, 40 deaths. 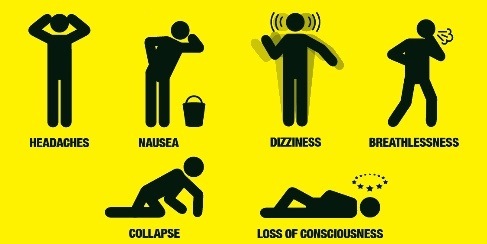 However, the reality is that almost all of those cases could be avoided with the purchase of a carbon monoxide alarm. Older people, children, pregnant women and their unborn children and those with breathing problems or cardiovascular disease are particularly at risk of carbon monoxide poisoning. It can occur from inappropriate use of cooking equipment e.g. gas ovens being used for heating purposes or where oversized pots are placed on gas cooker rings. Another common cause is failing to maintain fossil fuel or wood burning appliances, chimneys or flues, or reducing ventilation of rooms to conserve warmth. Exposure to high concentrations of carbon monoxide leads to collapse and death within minutes. However, exposure to lower levels for a prolonged period can also be extremely dangerous. It is associated with lasting neurological effects including difficulties in concentrating and emotional change. Avoiding exposure to CO is of particular importance to pregnant women. Exposure to CO reduces the amount of oxygen available for the growing fetus and has been linked to birth defects and other poor pregnancy outcomes including fetal and infant mortality. + Yellow or orange, instead of blue, flames from gas appliances or boiler pilot lights. Specialist paramedics from the Hazardous Area Response Team (HART) carry equipment to detect carbon monoxide and how badly affected patients are. John Woodhall, is a paramedic and Support Manager with the HART Team. He said: “Carbon monoxide is a silent killer which has no smell or taste and sadly leads to deaths every year. “The vast majority of people now have smoke alarms. Having a carbon monoxide alarm similarly doesn’t cost much, but what price can you put on the life of a loved one? Alarms should meet European Standard EN 50291 and are available from DIY and hardware stores. Thursday 21st November 2013 – 7.50am – Chris Kowalik. 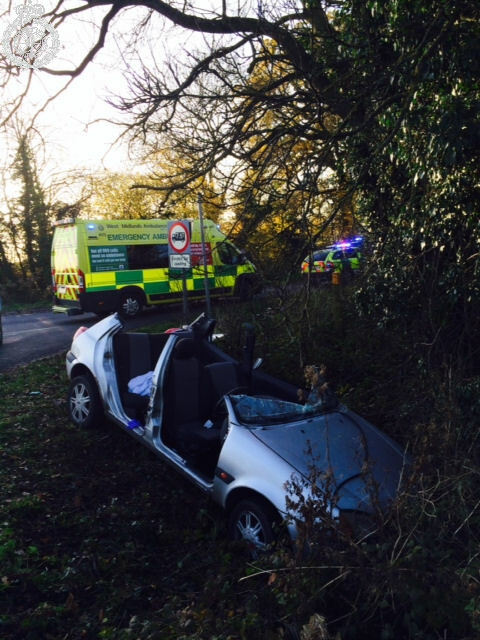 A man has been injured in a road traffic collision involving the BMW he was driving and a tree. The collision occurred at the junction of the A45 and Broad Lane in Coventry. West Midlands Ambulance Service was called shortly after 6.20pm yesterday (Wednesday). A community paramedic in a rapid response vehicle, a paramedic area support officer in a rapid response vehicle and an ambulance crew attended. Wednesday 20th November 2013 – 11.45am – Suzie Fothergill. A man has been taken to hospital following a road traffic collision in Staffordshire today. West Midlands Ambulance Service was called to the A50 in Uttoxeter shortly after 9.05am this morning. An ambulance, two rapid response vehicles, a senior paramedic officer and a basic doctor were dispatched to the scene. The Derbyshire, Leicestershire and Rutland Air Ambulance was also in attendance. A West Midlands Ambulance Service spokeswoman said: “Crews were called to reports of a car and a lorry that had been in collision. On arrival at the scene crews attended to the driver of the car who was found to be trapped in the vehicle. Tuesday 19th November 2013 – 6.03pm – Murray MacGregor. 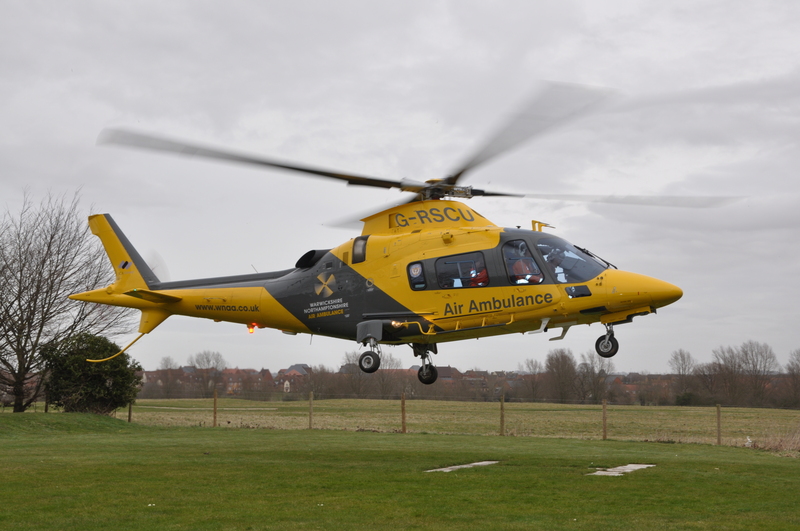 A woman horse rider has been airlifted to hospital after falling and injuring herself half a mile from the nearest dirt track. The accident happened at about 12.35pm in a field near Lower End, Priors Hardwick in Warwickshire. A community paramedic in a 4×4 rapid response vehicle was met at the road and then travelled down dirt tracks and across a wet field to get to the casualty. An ambulance was also sent as back up. A West Midlands Ambulance Service spokesman said: “On arrival, the 22 year old from Newbury in Berkshire was complaining of back and hip pain. “The paramedic was told that she had fallen from her horse as she jumped over a hedge. “The ambulance tried to get close to the patient but eventually the dirt track conditions meant it had to stop around half a mile from the casualty. “Given the situation, the ambulance staff requested the patient be airlifted and the Warwickshire and Northamptonshire Air Ambulance was dispatched. Tuesday 19th November 2013 – 9.30am – Claire Brown. A man has been taken to hospital and three others have escaped injury following a four vehicle crash on the M6 this morning in Staffordshire. West Midlands Ambulance Service was called to the northbound carriageway of the M6 between junctions 15 and 16 shortly before 7.30am today (Tuesday). An ambulance and a paramedic area support officer attended the scene. A West Midlands Ambulance Service spokeswoman said: “Crews responded to initial reports of a five vehicle collision, however, on arrival, they found two cars and two vans which had been involved. “Both cars ended up at the side of the carriageway up the embankment, one van had been in collision with the central reservation and the other had hit debris on the road. “One car sustained significant damage and its driver, a man in his 20s, suffered neck and back pain in the collision. The ambulance crew treated the man at the scene and immobilised him with a neck collar and spinal board before he was taken by land ambulance to University Hospital North Staffordshire. Notes to Editor: Photographs courtesy of West Midlands Ambulance Service. Tuesday 19th November 2013 – 7.40am – Murray MacGregor. 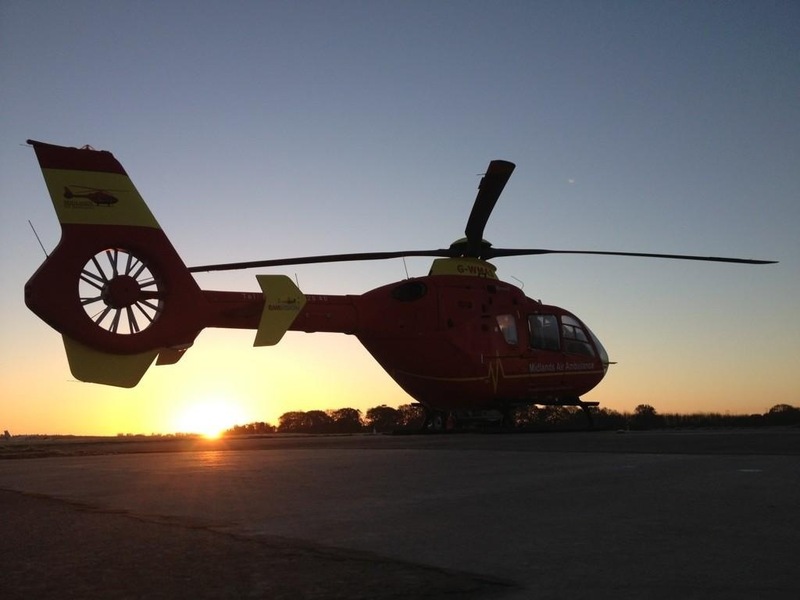 A motorcyclist has been taken to a major trauma centre with serious injuries after being involved in a collision with a car in the early hours of this morning (Tuesday). The crash happened on Station Road in Wombourne at about 4.30am. An ambulance, a rapid response vehicle, a paramedic officer and the MERIT Trauma Doctor were sent to the scene. A West Midlands Ambulance Service spokesman said: “On arrival, the patient was semiconscious and confused about what had happened. “The road was blocked in both directions and the motorbike had suffered significant damage. “The rider, a man in his 50s had a broken wrist, possible fracture to his pelvis and a variety of cuts and bruising. “The man was taken on blue lights to the major trauma centre at the Queen Elizabeth Hospital in Birmingham; the doctor travelled with the crew. Monday 18th November 2013 – 7.20am – Claire Brown. 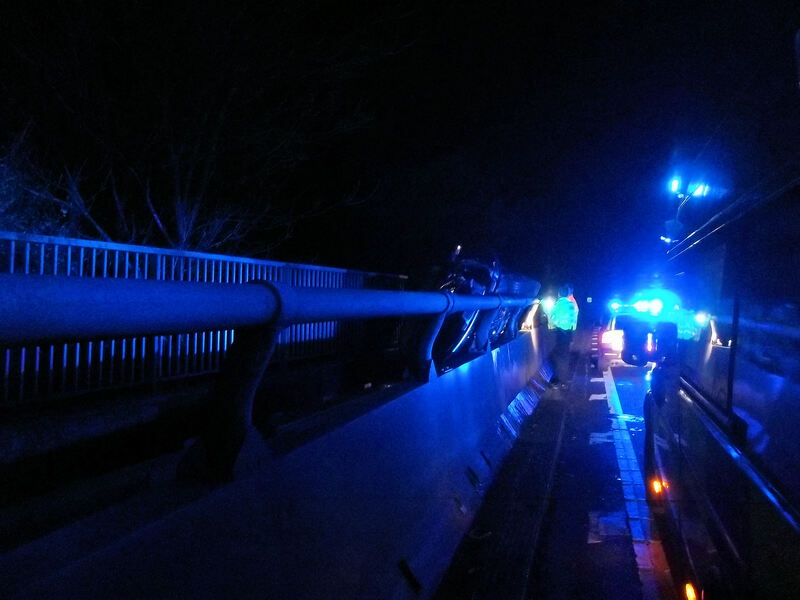 A family of four have escaped serious injuries after their car ended up on its side, wedged between two barriers on the M6 in Staffordshire early this morning. 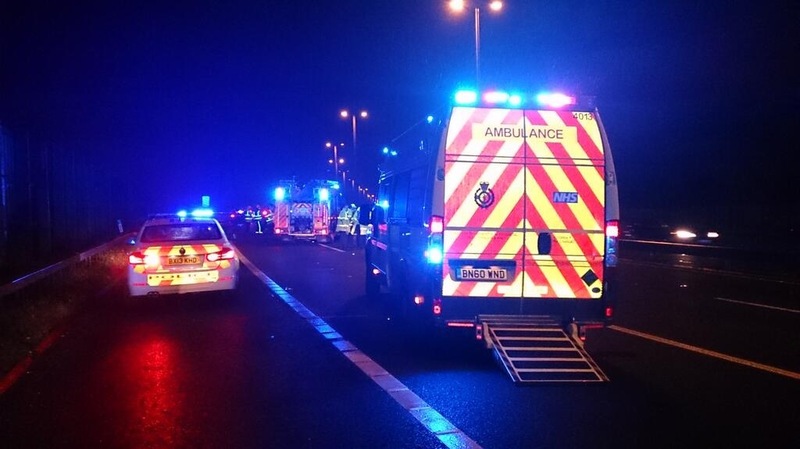 West Midlands Ambulance Service was called to the northbound carriageway of the M6 between junctions 14 and 15, above a railway line, at around 0.45am today (Monday). An ambulance and a senior paramedic officer attended the scene. A West Midlands Ambulance Service spokeswoman said: “Crews arrived to find a car which had crashed and ended up on its side and facing the wrong way on the motorway. 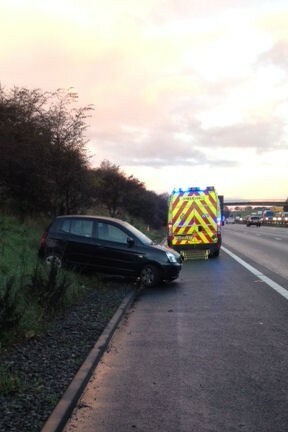 The car had wedged itself between two barriers at the side of the carriageway, narrowly missing falling off the motorway and onto the railway line beneath. “The family of four, two adults and two children, had managed to get out of the car prior to crews arriving and had suffered no serious injuries. Upon assessment by crews, one child, an eight-year-old girl, sustained back pain in the collision and was immobilised with a neck collar and spinal board. “The girl and her three family members were taken by land ambulance to University Hospital North Staffordshire for further assessment and treatment. Notes to Editor: I have no further details regarding this incident. The photograph accompanying this release shows the car wedged between two barriers. Sunday 17th November 2013 – 11.50am – Claire Brown. A motorist has died in a road traffic collision on the M5 in Cheltenham this morning. West Midlands Ambulance Service was called to reports of a car that had left the southbound carriageway of the M5 at Junction 10 for Cheltenham at 7.30am today (Sunday). An ambulance together with the Midlands Air Ambulance aircrew from Strensham attended the scene in a rapid response vehicle, as the aircraft was grounded due to poor weather. South Western Ambulance Service were also in attendance. A West Midlands Ambulance Service spokeswoman said: “Crews arrived to find a car which had suffered significant damage after leaving the carriageway. Sadly, nothing could be done to save the driver and the patient was confirmed deceased on scene. Saturday 16th November 2013 – 11.30am – Claire Brown. A road traffic collision between a car and a cyclist in Rugby has left a man in hospital this morning. 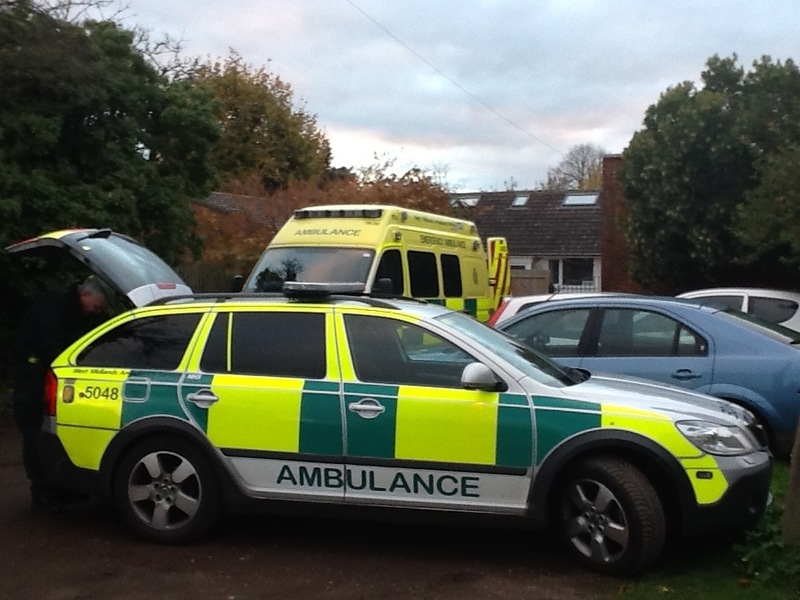 West Midlands Ambulance Service was called to Longdown Lane, Willoughby, at around 8.30am earlier today (Saturday). An ambulance, a paramedic officer and the Warwickshire and Northamptonshire Air Ambulance with a doctor on board attended the scene. A West Midlands Ambulance Service spokeswoman said: “Crews arrived to find a car in a ditch at the side of the road and an injured cyclist on the floor. “The cyclist, aged in his late 30s or early 40s, had reportedly been thrown 30 yards in the collision and sustained a suspected fractured pelvis and a leg injury. Crews and the doctor administered pain relief to the man to stabilise his condition before he was immobilised using a pelvic splint, neck collar and spinal board. The man was then airlifted to University Hospital Coventry and Warwickshire for further assessment and treatment. 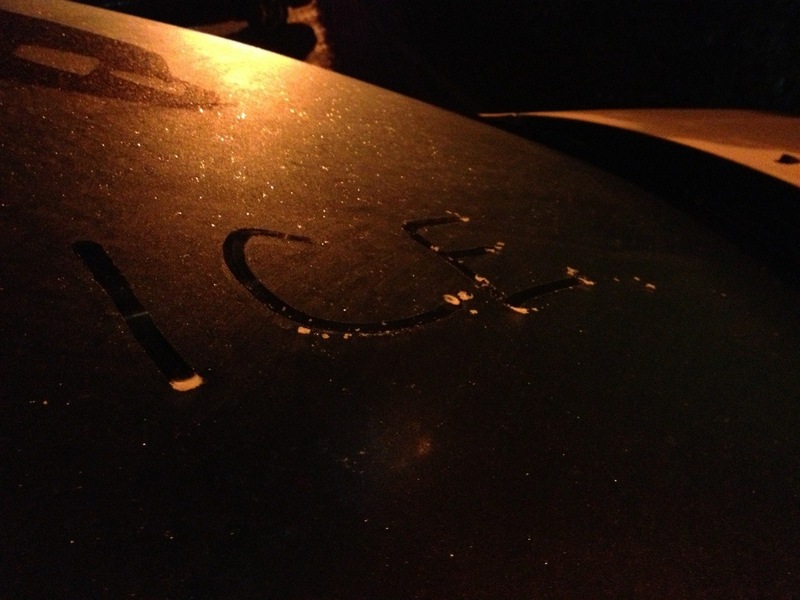 Saturday 16th November 2013 – 6.30am – Claire Brown. Six people have been taken to hospital following a two car road traffic collision in Stoke on Trent yesterday evening. 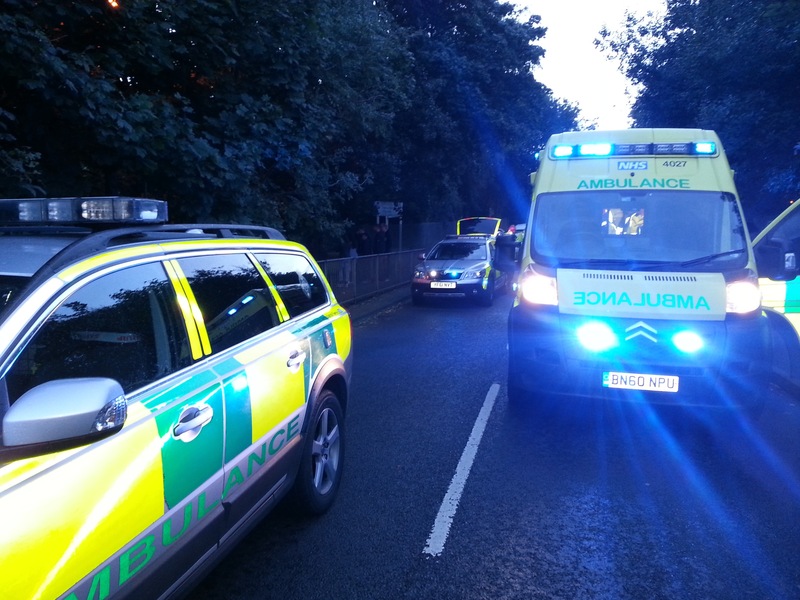 West Midlands Ambulance Service was called to Congleton Road in Talke shortly after 9.30pm last night (Friday). Three ambulances, a responder paramedic, a senior paramedic officer and a BASICS emergency doctor attended the scene. A West Midlands Ambulance Service spokeswoman said: “Crews arrived to find two cars which had been involved in a road traffic collision. 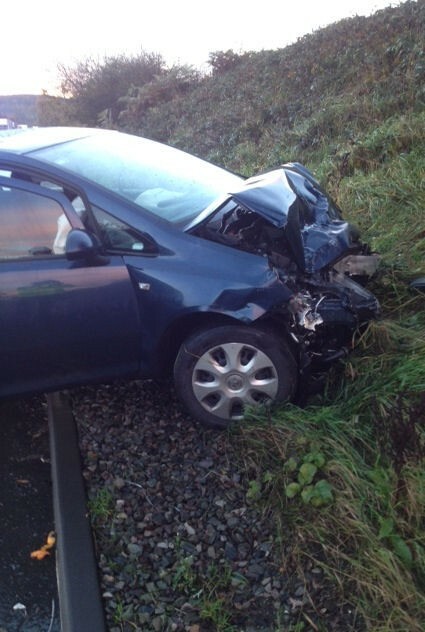 “An elderly man and three elderly women were in one car and had suffered a range of injuries. The driver, a man, sustained a pelvic injury. One elderly woman sustained neck pain and breathing difficulties and another suffered a serious hand injury and a nasty laceration to her leg. All three were treated on scene by ambulance crews and the doctor for their injuries before being immobilised with neck collars and spinal boards. The third woman suffered minor cuts and the effects of shock and was also treated on scene. “A man and woman, both believed to be in their 20s, were in the second car involved in the collision. Crews assessed them both and found they had suffered minor injuries. Friday 15th November 2013– 6.40pm – Claire Brown. West Midlands Ambulance Service can confirm that a 999 call was received following a road traffic incident in Ward End this afternoon. West Midlands Ambulance Service was called to the junction of Bromford Road and Wolseley Drive at 1.35pm. An ambulance, a paramedic officer in a rapid response car and the Midlands Air Ambulance from Cosford attended the scene. A West Midlands Ambulance Service spokesman said: “Crews were alerted to a single vehicle in collision with a lamppost. “A man was found to be in cardiac arrest at the scene and was given immediate advanced life support treatment. He was taken by land ambulance to Heartlands Hospital. Friday 15th November 2013 – 2.00pm – Claire Brown. An elderly woman has been airlifted to hospital following a low speed road traffic collision in Stoke on Trent this morning. West Midlands Ambulance Service was called near to Harlech Drive in Knypersley at around 9.45am today (Friday). An ambulance, a responder paramedic and the Midlands Air Ambulance from Tatenhill airbase in Staffordshire attended the scene. A West Midlands Ambulance Service spokeswoman said: “Crews arrived to find an 82-year-old woman who had been in collision with a van. “The woman had reportedly stepped into the narrow country road at the same time a van was reversing. 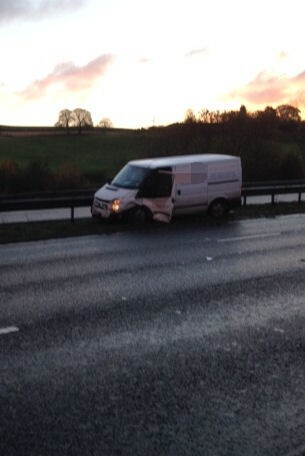 Here’s a picture of the RTC on the M40 this morning that led to the closure. One man taken to hospital with serious neck injury. Thursday 14th October 2013 – 12.30pm – Chris Kowalik. The ‘Herefordshire Heartstart’ charity has been chosen as a beneficiary of this year’s Courtyard Theatre pantomime. The show ‘Cinderella’ will run at the theatre in Edgar Street, Hereford from Friday 29th November to Sunday 5th January. Throughout this time donations and collections will be equally split between Herefordshire Heartstart and the theatre, both of which are registered charities. To donate, visit www.courtyard.org.uk/support-us , call 01432 340 555 or text “UGLY13 £5” to 70070. Herefordshire Heartstart is a voluntary organisation supported by West Midlands Ambulance Service teaching emergency life support skills to people in the county and is reliant on voluntary donation. Herefordshire Heartstart offers free two-hour courses to anyone aged 10 or over in techniques including CPR (cardiopulmonary resuscitation), the management of severe bleeding, loss of consciousness, choking and chest pain. Pictured, Loraine Coleman, Herefordshire Heartstart Co-ordinator/Project Manager with the Ugly Sisters. Thursday 14th November 2013 – 10.20am – John Hawker. Two new ambulance maintenance and preparation hubs are now operating in Coventry and Warwickshire as part of plans to overhaul and modernise the ambulance service in the area. 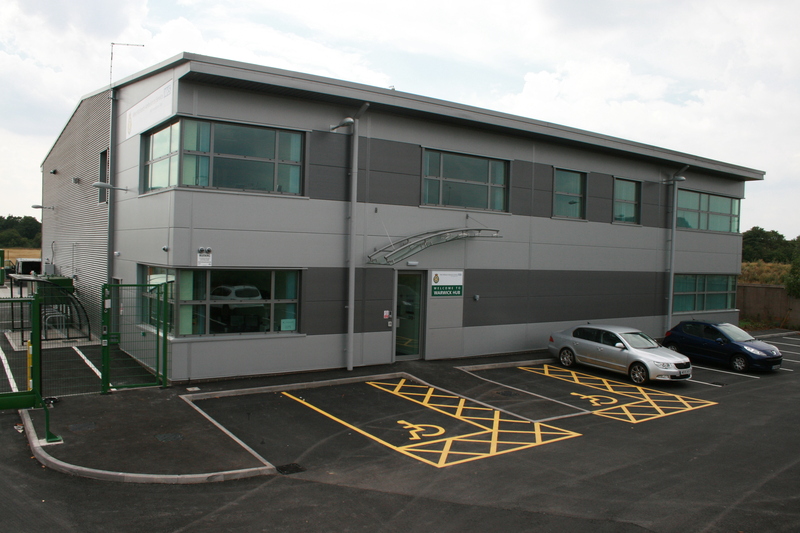 The new centres have been built in Ibstock Road, Coventry and in Tournament Fields, Warwick to house new offices, training rooms and fleet workshops. 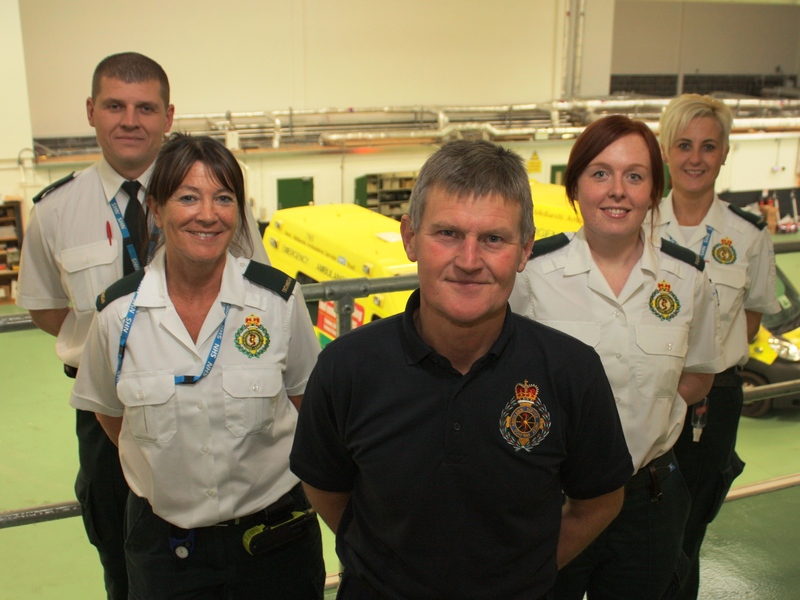 It has also become the base for a new team of dedicated Ambulance Fleet Assistants (AFAs) who clean, stock and prepare ambulances in readiness for the clinical staff. The AFAs also deal with any fleet issues during an ambulance crew’s shift, allowing the crew to continue with their work of looking after patients. The hub in Coventry went live in late June and in Warwick in late August. Ambulances are prepared at the hubs in time for the start of the crews’ shifts. They then disperse to stations around Coventry and Warwickshire from where they respond. West Midlands Ambulance Service has been reviewing its estate of traditionally owned ambulance stations which have been put up for sale to be replaced by new smaller Community Ambulance Stations (CAS) which will be leased rather than owned and which will be greater in number to further improve response times. CAS’s have already opened in Canley, Nuneaton, Atherstone, Kenilworth, Stratford, Wellesbourne, Shipston, and Southam, with new CAS’s still being established in Rugby (North and South). There are also standby points in Binley, Foleshill, Redford, Bedworth, Warwick, Leamington and Alcester. 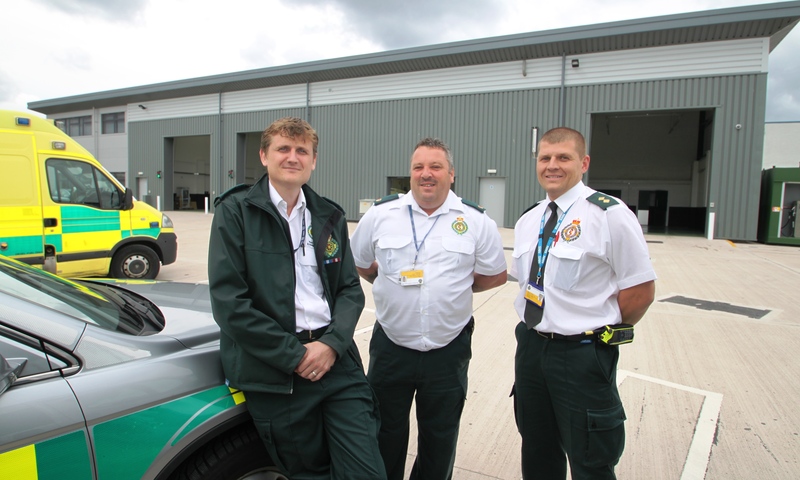 The system of the new hub and Community Ambulance Stations is known as ‘Make Ready’; implemented by the then Staffordshire Ambulance Service more than 15 years ago resulting it is becoming one of the highest performing ambulance services in the country with some of the fastest response times. The level of ambulance service being provided in Coventry and Warwickshire is overall increasing with the introduction of advanced paramedics. Dedicated to their respective geographical areas, the advanced paramedics who carry the title of ‘Community Paramedic’ will have received additional training in advanced patient assessment and procedures. They are able to treat many more patients at the scene rather than having them conveyed to an A&E Department. In addition to responding to 999 calls, the role of the ‘Community Paramedic’ will be to liaise with other areas of health and social care and ensure the population they serve receive the best health service possible while ensuring the ambulance service, through 999, is used appropriately. 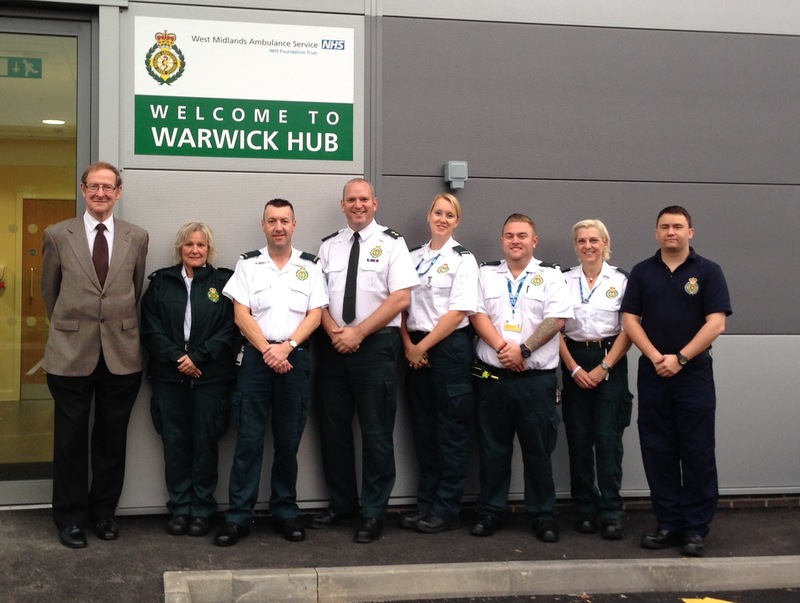 Picture outside the new Hub in Warwick: L-R WMAS Chairman Sir Graham Meldrum, Paramedic Michelle Goodwin, Paramedic Tony Bell, Area Support officer Ben Lyons, Trainee Technician Kim Unitt, Trainee Technician Tom Haskins, Technician Suzanne Hudson, Ambulance Fleet Assistant Paul Rowlands. Thursday 14th November 2013 – 8.57am – Murray MacGregor. A man has been taken to hospital with a serious neck injury after a collision on the M40 which left a lorry jackknifed. The crash between a van and an HGV happened at just before 4.50am this morning (Thursday) about 200 yards past Warwick Services on the southbound carriageway. A West Midlands Ambulance Service spokesman said: “When crews arrived they found a van that had suffered serious damage and an HGV that had jackknifed. “The HGV driver was shaken but otherwise unhurt. The van driver, who was in his mid 40s, had suffered a serious injury to his neck as well as pain in his back and abdomen. Wednesday 13th November 2013 – 9.20pm – Murray MacGregor. Commuters using the northbound M42 in Warwickshire faced a difficult journey home this evening (Wednesday) after three cars and an HGV were involved in a crash. The collision happened at about 5.15pm about 200 yards south of junction nine. A paramedic officer, the MERIT Trauma Doctor and an ambulance battled through gridlocked traffic to get to the scene. A West Midlands Ambulance Service spokesman said: “On arrival, crews found one car that had suffered massive damage to its rear and considerable front end damage. “The driver was sitting in the front passenger seat. They were told that he had lost consciousness for a few minutes and still had a reduced level of consciousness when he was assessed. “In addition he had pain in his back and left leg. Ambulance staff requested that firefighters removed the car door so that the patient could be brought out of the car safely. “After being assessed at the scene, he was taken to University Hospital Coventry & Warwickshire for further assessment and treatment. “Three other patients were assessed and discharged at the scene: the lorry driver, a man estimated to be in his 40s and the two other car drivers, two men, one estimated to be in his 50s, the other in his 20s. Wednesday 13th November 2013 – 6.00am – Murray MacGregor. West Midlands Ambulance Service is welcoming the initial findings of Sir Bruce Keogh and his review into Urgent and Emergency Care. 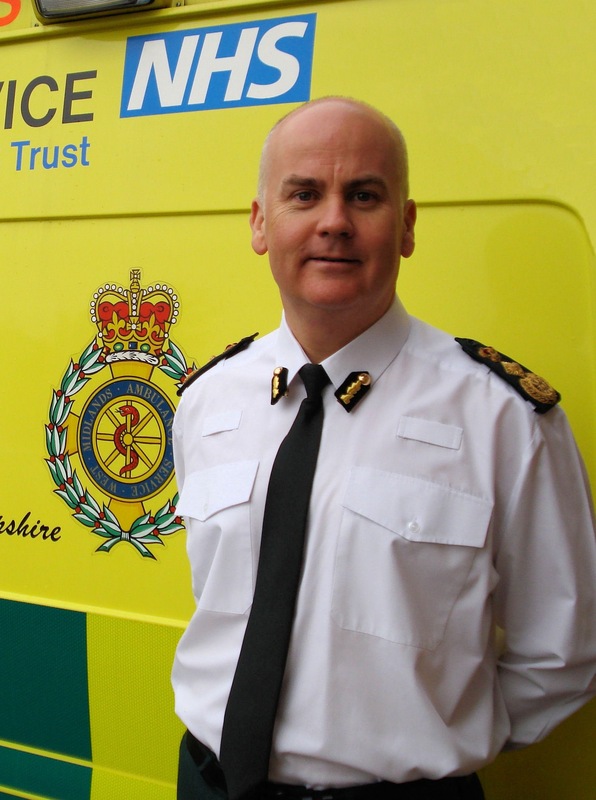 WMAS Trust Chief Executive, Anthony Marsh, said: “We very much welcome the report and its findings as it supports the views that we have been expressing for some time and in some cases what we are already doing in the West Midlands such as the Major Trauma Network. The report calls for 50% of ambulance patients to be treated at the scene. As an organisation, the number of patients we are taking to A&E has been falling consistently for many years. Ten years ago over 70% went to hospital; now less than 60% travel and we are confident that we can meet the suggested figure of 50%. Turn ambulance services into mobile urgent treatment services. The skills that our paramedic staff now possess would previously only have been available in a hospital. Those skills are taken to the patient on a daily basis. This includes everything from diagnosing urinary infections to ensuring stroke patients get to a hyper-acute stroke service far more quickly than ever before. Ambulance staff should play a key role in urgent care services outside hospital. We have seen a number of innovative joint working schemes providing excellent care to patient outside hospital. This ranges from doctors working with paramedics on response vehicles to working with local authorities, the police and GPs. The additional training that we have been giving our staff now means they are better placed than ever to treat patients in the comfort of their own homes. Public hold ambulance services in high regard and have become a victim of their own success. Demand for the 999 service has been rising by around 5% each year for the last 15 years. Part of that is down to the public recognising the excellent job that our staff do in caring for their needs. The number of letters of compliment we receive is testament to the high regard that the public hold our staff in. There is widespread acceptance that the NHS has to get better at directing people to the right service and the 111 system can undoubtedly assist in that process. WMAS now provides the NHS 111 service in the majority of the region and we believe that we can assist in making it an even better service where people can get the assistance, reassurance and treatment options that they need in a timely manner which will reduce the pressure on A&E departments and the number of people calling for an ambulance. Mr Marsh continued: “As someone who has been part of the national group helping write the report, I know how important it is that we make the changes outlined, so that patients get the care they need and support our staff to continue to provide the very best treatment. Tuesday 12th November 2013 – 4.55pm – John Hawker. 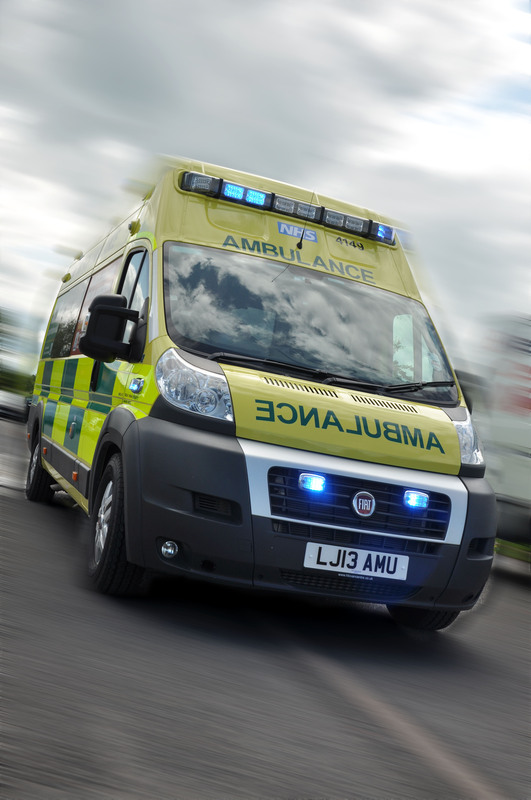 Four people have been injured following a serious RTC in Staffordshire this morning. The crash occurred on Stafford Road, Lichfield at around 11.40am. A CFR, a rapid response vehicle, a paramedic officer, two ambulances and the Midlands Air Ambulance from Cosford, and the Derbyshire, Leicestershire and Rutland Air Ambulance attended the scene. A West Midlands Ambulance Service spokesman said: “Crews arrived to find two cars that had been in a serious collision. Both cars had suffered substantial damage. “In one car, a man and a woman, both believed to be in their 70’s, were trapped in their vehicle and were treated for their injuries before they were extricated with the assistance of the fire service. They were both treated for suspected pelvic injuries and the woman had also suffered a head injured. “Once released from the car, the woman was airlifted to University Hospital North Staffordshire and the man was transferred by land ambulance to the same hospital for further emergency treatment. “In the second car, a woman believed to be in her 50’s, suffered pelvis and back injuries and was also trapped in the car. She received treatment at the scene and once released, was airlifted to Queen Elizabeth Hospital Major Trauma Unit for further treatment. “The man in the car, also in his 50’s, suffered abdominal injuries. He was not trapped in the car and was transferred to Walsall Manor Hospital by land ambulance following treatment by paramedics. Tuesday 12th November 2013 – 4.50pm – John Hawker. A man has been trapped in machinery at a farm in Staffordshire this morning. The incident occurred at a farm in the Burton on Trent area at around 8.15am. An ambulance, a rapid response vehicle, a paramedic officer, and the Midlands Air Ambulances from Cosford and Strensham attended the scene. A West Midlands Ambulance Service spokesman said: “Crews arrived to find a man who was trapped in agricultural machinery by his arm. “The man received emergency treatment at the scene whilst ambulance crews and the Doctor worked with the fire service to release the 36 year old. “The man received pain relief and after around two and a half hours and a complicated extrication, he was released with extensive arm injuries. “He received further emergency treatment at the scene and his condition was stabilised. The man was then airlifted to University Hospital North Staffordshire for further emergency treatment were a trauma team were on standby. Tuesday 12th November 2013 – 10.50am – John Hawker. 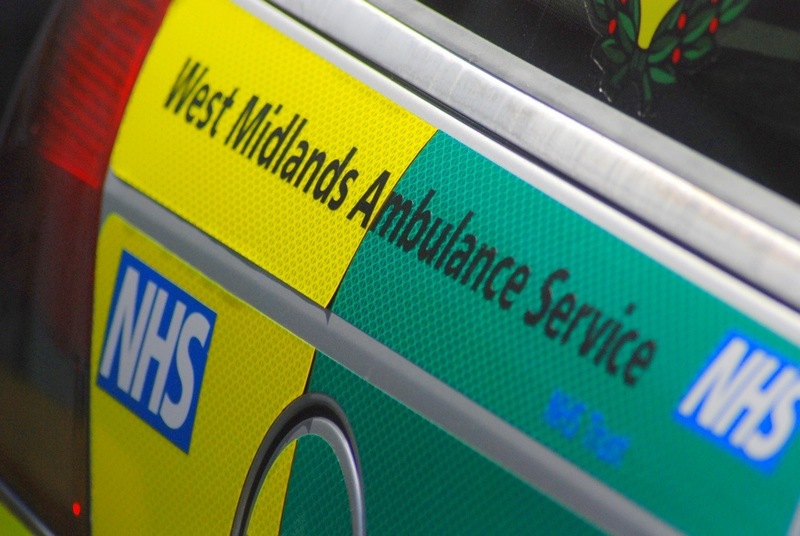 A motorcyclist has been seriously injured following an RTC in Birmingham this morning. The crash occurred at the junction of Amtpon Road and Arthur Road, Edgbaston at around 8.40am. An ambulance and a paramedic officer attended the scene. A West Midlands Ambulance Service spokesman said: “Crews arrived to find a motorcycle and a car that had been in a collision. “The motorcyclist had suffered serious injuries, including a suspected fractured base of skull, fractured hip and jaw. The man, believed to be 37 years old, was given emergency treatment at the scene including pain relief and being fully immobilised using a spinal board and neck collar. “Once his condition was stabilised, the man was transferred by land ambulance to Queen Elizabeth Hospital Major Trauma Unit for further emergency treatment. The hospital had been pre alerted and a trauma team were on standby. Saturday 9th November 2013 – 7am – Steve Parry. Five people have been treated for their injuries following a road traffic collision in Hereford this morning. West Midlands Ambulance Service was called to the incident near the junction of West Street and Berrington Street in the city centre at 4.20am. Five ambulances, two Basics doctors including a medic from the Mercia Accident Rescue Service (MARS) and a paramedic officer attended the scene. A West Midlands Ambulance Service spokesman said: “Crews responded to a road traffic incident involving three vehicles and a pedestrian. “Two men from one vehicle were treated for minor injuries at the scene and later taken to Hereford hospital for further assessment. “A further male from a second car was also treated for minor injuries and later taken to Hereford hospital. “A female driver of a taxi was treated at the scene and later released. Friday 8th November 2013 – 9.30pm – Steve Parry. Three people have been taken to hospital following a road traffic incident in Telford Town Centre this evening. West Midlands Ambulance Service was called to the Hollingswood roundabout near ASDA just after 5.40pm. Four ambulances and a paramedic officer in a rapid response vehicle were sent to the scene. A West Midlands Ambulance Service spokesman said: “Ambulance crews responded to a road traffic collision involving a car that left the road, colliding with another car, before crashing through railings and coming to rest over a wall. “The male driver, believed to be in his eighties, was assessed for a medical condition at the scene before being conveyed to Princess Royal Hospital. “A male passenger in his seventies was treated for chest , neck and back pain. He was conveyed to New Cross Hospital. “A second passenger, also in his seventies, was taken to Princess Royal Hospital for assessment and treatment. A woman has been airlifted to hospital following a road traffic collision on the A4189, Preston Baggott near Henley in Arden this afternoon. West Midlands Ambulance Service was called to the scene just after 3.40pm. One ambulance, a paramedic in a rapid response vehicle; a paramedic officer, together with the Warwickshire and Northants Air Ambulance were sent to the scene. A West Midlands Ambulance Service spokesman said: “Ambulance crews responded to a road traffic collision involving two cars and a van. “A woman in her twenties was reportedly pulled from her burning car by bystanders before ambulance crews arrived. “She was treated for serious leg fractures and burns to her lower legs. “The patient was immobilised with a neck collar, pelvic splint and spinal board before being airlifted to the Queen Elizabeth Hospital. Friday 8th November 2013 – 8.10pm – Steve Parry. A man has died following a road traffic collision on the A460, Wolverhampton Road, Cannock. West Midlands Ambulance Service was called to the incident at approximately 3.15pm. Two ambulances; a paramedic officer; a paramedic in a rapid response vehicle, together with the Midlands Air Ambulance from Cosford attended the scene. 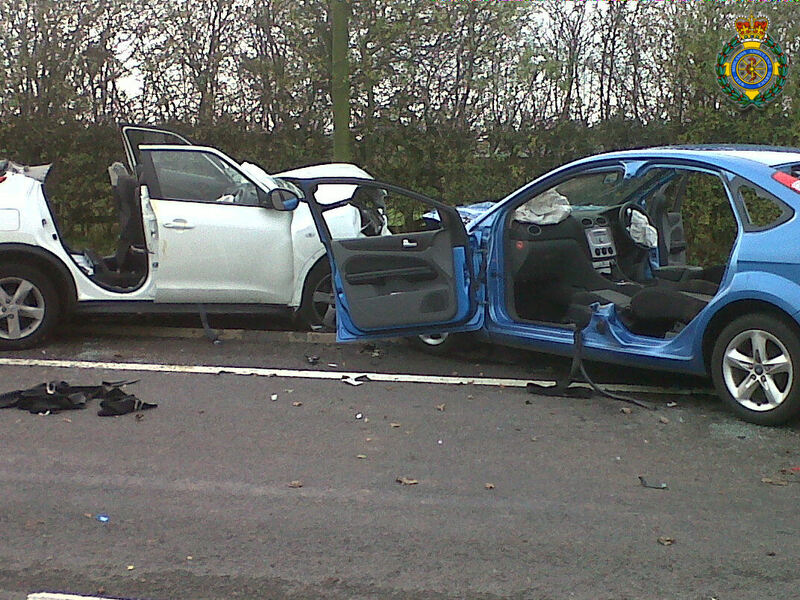 A West Midlands Ambulance Service spokesman said: “Crews arrived to find a two car collision. “Despite the efforts of medics at the scene, nothing could be done to save the patient who was confirmed dead at the scene.